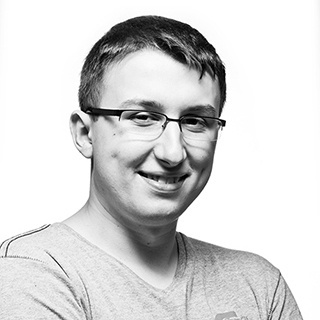 Cloudinary is the image back-end for web and mobile developers. In other words, it allows you to upload images to the cloud (let's say it's something similar to S3), but in addition it allows you to do many different image (and video!) transformations on the fly, just by changing URL params. Cloudinary is really easy to implement, so if you don't want to spend time on your own solutions you should give it a try. But as it is not the cheapest option, you might prefer different approaches for various applications. Cloudinary is really good for that kind of tasks, it has free plan with 2GB of space and you can do up to 7500 transformations per month. It's definitely the easiest & fastest way to implement any kind of avatars handling etc. For this kind of app you should consider writing your own solution, as it's not really complicated, and you can keep your uploads on S3 without worring about money. In this case Cloudinary should be a good way to start, as you can use all it's powers to handle image operations and just focus on your business logic. Cheapest Cloudinary plan starts from $50 and includes 15GB of space and up to 7500 transformations per month. Later you can always create some own solutions (it's something that can be done after MVP) and move to S3. 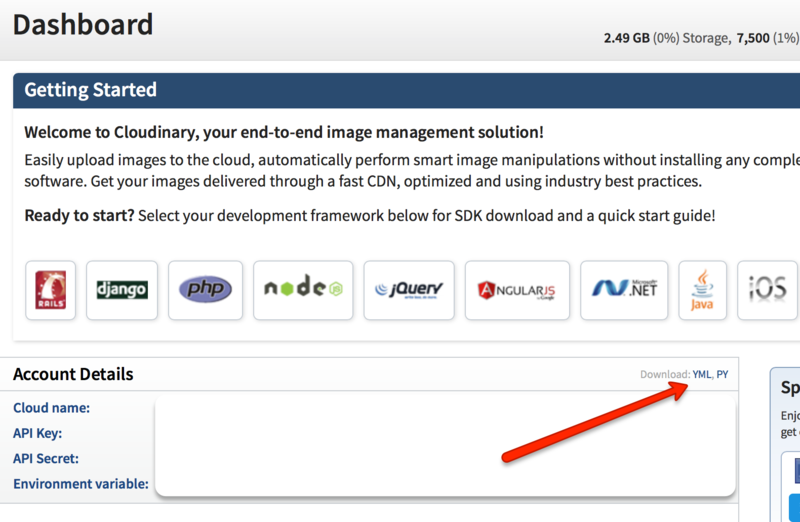 As Cloudinary connects together cloud file storage (under the hood it's still S3) with built-in CDN and automatic image optimization, it can provide some really great performance boost for reasonable price. Cloudinary should be also a good solution if you are building app that needs some live preview of images. It works just on URL params and it's really easy to implement. To start using Cloudinary you need to setup carrierwave first, you can do it really easily by following tutorial on carrierwave's github. It's highly recommended to avoid storing API keys in repo, so you should later edit this config file and move keys to secrets.yml or ENV. Available file formats: jpg, png, gif, webp, wdp, bmp, pdf, tiff, ico, mp4, webm, ogv, mp3, ogg, wav (you can extract audio from videos). If you don't want to search through documentation for any advices, I recommend using Cloudinary admin panel, just select any image and add whatever effect you like, on the right side you will find code snippet generated for you with all the options you just provided! Cloudinary is a great, easy to use tool which can considerably speed up your development. If you need to process images, it's definitely worth to try. If you have any questions, feel free to ask in comment section below.